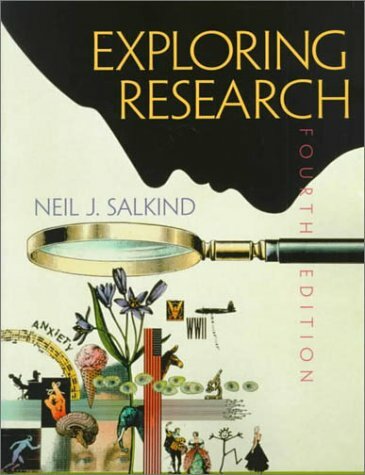 Amazon.com description: Product Description: The fourth edition of Exploring Research provides an introduction to research methods in a friendly, approachable writing style. The text explores the use of electronic sources as means to enhance research skills, includes discussions about scientific methods, and the most common types of research in the social and behavioral sciences. *Internet research section is thoroughly revised - The text provides practical information on how to harness the power of the www for use as a research tool. *Updated coverage of Statistical Package for the Social Sciences (SPSS), version 9.0-Appendix A provides an introduction to the basic features of version 9.0, including data entry and analyzing data. *New readings and additional exercises-Incorporates relevant and informative readings and end-of-chapter exercises to further broaden the scope of experiences for the student.